urns out, Red Bull may give you wings but necking it down with your booze may give you bruises. A recent review found that people who mix highly caffeinated energy drinks with their alcoholic beverages may be at increased risk for injury. Researchers at the University of Victoria's Centre for Addictions Research of BC (CARBC), in Canada, searched for peer-reviewed journal articles on the topic of alcohol and energy drinks published from 1981 to 2016 and found 13 that fit their criteria and were able to be analyzed. Of those studies, 10 showed evidence of a link between the use of alcohol mixed with energy drinks (AmED) and an increased risk of injury compared to drinking alcohol only. The study classified injuries as unintentional (such as falls or motor vehicle accidents) and intentional (such as fights or other physical violence). "The stimulant effects of caffeine mask the result that most people get when they drink," said lead author Audra Roemer. "Usually when you're drinking alcohol, you get tired and you go home. Energy drinks mask that, so people may underestimate how intoxicated they are, end up staying out later, consume more alcohol, and engage in risky behavior and more hazardous drinking practices." 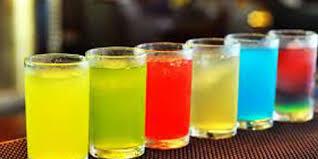 AmED use is increasingly common across North America, the researchers said, either as premixed drinks sold in liquor stores or by combining the two beverages by hand (Red Bull and vodka is a common example). Roemer noted that the current study is the first of three planned articles that they hope to publish on the link between AmED and the risk of injury. 0 Response to "Booze-energy drink combo may up injury risk: Study"